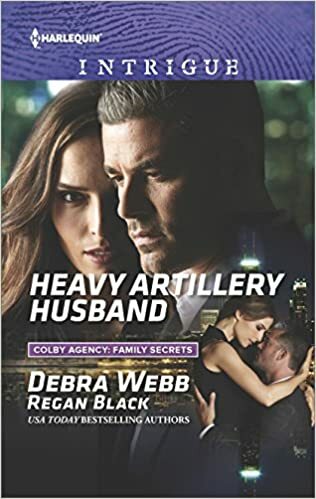 Husband and wife reunite in USA TODAY bestselling authors Debra Webb & Regan Black's sizzling Colby Agency: Family Secrets series! When someone tries to kill security expert Sophia Leone on a dark road, she's rescued by her husband—a US army general she thought died a year ago. 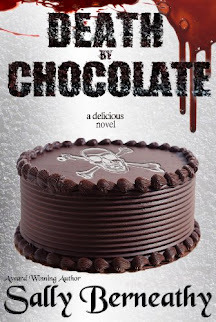 Suddenly, Frank Leone is back, very much alive, and insisting that someone is trying to kill Sophia. Convicted of treason before his supposed death, Frank claims a shadow group is behind everything. Now Sophia must put her life in the hands of the handsome desperado she married for better or worse thirty years ago…the man she never stopped loving. Monday, April 18, 6:45 p.m.
Sophia Leone sat back as the waiter delivered wide shallow bowls filled with the best pasta in the Windy City. From the first warm embrace upon her arrival, her friend Victoria Colby-Camp and her husband, Lucas Camp, had carefully kept the conversation on lighthearted topics. It couldn’t stay that way. All three of them recognized there were serious matters to address. As the founder of the Colby Agency, Victoria never let her mind stray too far from business, especially not when she sensed a friend in trouble. Was she in trouble? Sophia couldn’t decide. She was still processing everything that had happened over the past few days. She resisted the urge to run her fingers over the fading goose egg on her scalp. Hidden by her hair just above her ear, it was the only remnant of the shocking fight in her kitchen. Though it had been a terrible ordeal, the real culprit was in custody and the people who mattered most were safe. Coming to Chicago gave her a chance to escape and some space to decide how she wanted to move forward. While this visit to Chicago needed to shift into business, tonight was for pleasure. She wanted time to relax and catch up with her friends. She hadn’t realized just how pervasive that undercurrent of tension in her life had been during the months when her daughter, Frankie, refused to speak with her. Now it was marvelous to share how happily Frankie and her fiancé, Aidan, a former Colby Agency investigator, were coming along with their wedding plans. With countless questions and decisions remaining, the two most important details were finalized. They’d set a date for September and Aidan’s family would be in attendance. Watching the banter between the pair made Sophia’s heart twist painfully. It reminded her so much of the wonderful days when she’d felt that camaraderie and partnership with her own husband. Brigadier General Franklin Leone had been dead almost a year now and she still couldn’t quite accept it. “And Frankie can’t wait to have you both join us,” Sophia replied. With so much to celebrate, it was silly of her to dwell on who wouldn’t be there. She took another bite of her pasta, washed it down with a sip of excellent wine and struggled again to forgive her husband for missing this incredible milestone in their daughter’s life. Sophia lifted her gaze and met the concern shining in her friend’s eyes. Victoria was as sharp as any of the private investigators she kept on her staff. While all three of them knew this dinner was meant to be comforting, neither she nor Victoria had ever been good at beating around the proverbial bush. Sophia smiled. “I just can’t say thank you enough.” Without Victoria, she and her daughter might never have been reconciled. Why had Sophia come all this way if she wasn’t going to be honest about her other concerns? This wasn’t something to discuss over a phone or a video chat later. She wanted to see their immediate reactions when she asked her questions. Sophia tried to muster some courage. Shy and uncertain weren’t typical for her. She was accustomed to boldly heading exactly where she needed to go in a conversation or in business. “Aidan is remarkable,” Sophia said with a tight smile. “You should see them together.” Here she went again, dancing around the more pertinent issue. Get to the point! “Should I excuse myself?” Lucas asked. “Of course not,” Sophia replied immediately. Whatever she told Victoria would find its way to Lucas anyway. She didn’t begrudge them that. It had been the same in her own marriage. Until those last two years anyway when his overseas operations put more than geography obstacles between her and her husband. Both Lucas and Victoria nodded, though neither offered any comment. Her husband had been found guilty of treason during his last deployment. Before he could be transferred to prison, he’d killed himself, leaving Frankie and Sophia to deal with the fallout. When she closed her eyes at night, the memory of watching that closed-circuit monitor fill with the image of his pale, lifeless face haunted her. Sophia suspected he had carried terrible secrets to his grave. Secrets that might not even have answers. Though Frankie believed her father was innocent of the treason charge and was certain he’d been murdered, there had never been a scrap of evidence to support her theory. It was only one facet of the complex situation that had wedged them apart. While Sophia had accepted she’d always be curious about her husband’s last days, it was her internal battle that had brought her to Chicago. During her career as a military analyst, she’d taken information and made concise assessments. Now she wondered if her ability to read people and situations had failed her. “Not just Frank.” Sophia shook her head. “It’s Paul, too.” In the wake of Frank’s suicide, she’d needed to act quickly to protect her future and Frankie’s, as well. Paul Sterling, an old friend, had helped her launch Leo Solutions, the security company she and her husband had envisioned to keep them busy after his retirement. Mere days ago she’d found out Paul had betrayed her in favor of his own interests. How had she allowed two men to fool her so completely? “Sounds as if your daughter’s a thoughtful and compassionate young woman,” Lucas said. Her gaze dropped to her plate as her mind drifted back to that idyllic time when the future was a bright, hope-filled horizon. The Leone family had faced the world together as a team. She’d weathered the highs and lows with her husband during his military career. Just when they were on the cusp of the next stage—ready to enjoy their empty nest and launch a new venture—life had fallen to pieces. Countless times over the past year, she’d fought off the urge to scream and wave her fist at that deceptive horizon. Life is not always fair, Sophia. “Frankie still believes he was innocent, doesn’t she?” Lucas asked. “Among other things,” Sophia admitted. There were moments, such as this one, when the sadness at the scope of her loss flattened her. She tossed her napkin over the remainder of her dinner and swallowed back another wave of unanswerable questions. Her fingers locked in her lap and she squeezed until her knuckles protested. “If you’d rather discuss what’s troubling you elsewhere, we can wrap this up,” Lucas offered. “That’s kind of you both, but not necessary. I’m overthinking things.” Sophia tried to believe that explanation as she unclenched her hands, automatically rubbing the place where her wedding rings had been. She’d taken them off the day after the funeral, when any reminder of her ties to her disgraced husband would impede the launch of Leo Solutions. As a family, they’d been so close. As a couple, they’d focused their plans on giving Frankie a solid foundation. How had it suddenly crumbled? “Of course not,” Victoria agreed. Sophia appreciated Victoria’s offer. It came as no surprise, and professional assistance was one more reason to be here in person. She should say yes and let Victoria handle it while she went back to help Frankie with wedding plans. Would the answers change anything? Her husband was dead, a convicted traitor—it wasn’t a simple matter at all. The problem was still too sensitive, too fresh even a year after the verdict. Her throat tight with frustration, she raised her glass and finished off her wine. Her hotel was just down the street and she didn’t have to worry about driving. The bold flavors of the wine melted on her tongue but didn’t give her any insight or steady her nerves. Didn’t she want the answers? Wouldn’t that help her sleep at night? Assuming Victoria’s investigators could find the truth, knowing the facts wouldn’t actually change anything. Frankie would still be short one outstanding father. As Sophia had reviewed Frank’s last few years, even amid all the chaos and inevitable suspicion, she’d never doubted his love or devotion to their daughter. “Why don’t we launch the investigation? You can call it off at any time,” Lucas said. Though they hadn’t been aware back then that it would be the end. Sophia had thought there would be time for him to come around and be himself once more. She’d talked about it with a therapist, focused on shoring up her weaknesses, never expecting Frank to break. “You have excellent instincts, Sophia. What do you know?” Victoria prompted. “He loved Frankie.” During those last two years, Sophia had lost her faith that her husband loved her with equal devotion. He’d grown distant and secretive. She’d tried and failed to chalk it up to his protective nature. Lucas pretended to protest, shifting his chair close enough to drape an arm across the back of Victoria’s. They looked utterly content as a couple, as a team. Sophia had had that once, for nearly the entirety of her thirty-year marriage. However, that period of her life had ended, and she needed to focus on the good times, to let the uncertainty go. “We’re going to have so much fun with the planning. Both of them are huge assets to Leo Solutions. I have so much to look forward to.” Catching herself gushing, she paused for a breath. “I thought I’d lost that relationship with her forever. You returned it to me, Victoria. You and Aidan.” There weren’t enough thank-yous to adequately express her joy that her daughter was healthy, happy and thriving again. It truly was time to stop dwelling on the past and let go of the questions that would never have answers. Sophia insisted on paying for dinner, managing to win a lighthearted argument with Lucas over the check. As they parted ways at the restaurant door, a shopping date scheduled for tomorrow, she chose to walk rather than accept Victoria’s offer for a ride to the hotel. The crisp spring breeze drifting off the lake caught at her hair, boosting her mood as she headed down the street. Moments after Victoria’s car pulled away, she regretted her decision. Without the distraction of conversation, she felt eyes on her immediately. A chill raised the hair at the back of her neck and she called on her years of self-discipline not to show any recognition to her observer. She knew she would be safe enough as long as she was surrounded by other pedestrians. Though she hadn’t made a secret of her travel plans to Chicago, she couldn’t imagine who would bother watching her. Mind over matter, she thought as she put one foot in front of the other, shoulders back, head high, refusing to let her discomfort show. The tactic had served her well as a general’s wife, an analyst and a mother. Opponents large and small had cowered in the face of her poise and determination. Let whoever was out there watch. Let them see Sophia Leone hadn’t changed a bit as a widow or under the pressure of the events that followed. Poised or not, she felt a wave of relief wash over her when she entered the hotel lobby, interrupting that intense, uncomfortable scrutiny. She crossed to the front desk with a smile on her face. She might as well extend her reservation for an additional night. One day of shopping with Victoria might not be enough. “I do?” Sophia was surprised. Frankie would have called her cell. The man behind the desk passed her a small envelope embossed with the hotel logo. Sophia noted the precise block lettering of her name on the outside. Memories whispered through her, making her shiver. Frank had preferred that style over his nearly illegible cursive handwriting. They’d often joked that he had the penmanship of a doctor. How rude of someone to try to irritate her by mimicking his habit. She caught herself in the middle of the overreaction. Printed lettering wasn’t a personal attack or automatic insult. She chalked up her edginess to having been watched so closely on her brief walk. Moving down the hall toward the elevators, she opened the envelope and pulled out the note. It wasn’t signed, but the writing, the location told her it had to be from Frank. That was impossible. He was dead. Parkhurst, the U.S. Army Reserve Center just off the old Route 66. She and Frank had been there once for a dining-out, early in his career. They’d just learned she was pregnant. She remembered avoiding the wine but not curious speculation of the other wives. She pressed a hand to her mouth to smother the whimper building in her throat. This wasn’t happening. Couldn’t be. She needed to get to her room. Needed to return to the desk and get a description of who had delivered the message. Her stomach tightened while she read the note again more slowly. The meaning didn’t register at all as her fingertip followed the bold swipe of the pen strokes making up each letter and word. Her body sighed with memories of those happier times. With an effort, she straightened her spine, tucked away the nostalgia and pulled herself together. Whoever had created this note had forged Frank’s handwriting perfectly. Sophia swallowed and forced herself to take a deep, calming breath. Frank wasn’t the only person in the world to write this way. He wasn’t the only person who would choose a remote location for a discreet meeting. At the edge of the nature preserve surrounding the facility, there would be plenty of privacy at night. Shoulders back, she aimed for the elevator once more. Frank was dead. She’d seen him in that morgue. Dead men didn’t send notes inviting their widowed wives to meetings, advising them to run. Someone was attempting to put her off balance. She hitched her shoulders at the thought of being watched during her walk from the restaurant. Someone wanted to frighten her and lure her from the safety of the hotel. Defiant, she reached out and punched the call button for the elevator. When the car arrived, she shoved the note into her purse, ignoring it. She would not be influenced by the emotions of her past. It would be foolish to dash out to a relatively deserted area alone. She knew better than to take that sort of risk. When she reached her room, she found another note on the floor just inside the doorway. Someone had slipped it under the door. No name on the envelope this time. She tore it open and tears sprang to her eyes as she skimmed it. The message was the same handwriting as the note left at the desk, but the first word stole her breath. Stunned, she went limp and slid to the floor, the wall her only support. Her gaze was locked on the precious endearment Frank had used from their first date through every phone call and letter when they were apart. She pressed her lips together, holding back the wail of frustration and pain swelling in her throat. So he’d called her sweetheart in Italian. Any number of people might know that detail about their lives. This did not mean Frank had miraculously returned from the dead. Whoever was orchestrating this was pushing all the right buttons, prodding her to make a predictable response. Melodramatic and cruel, she thought, checking her watch. If she left now, she’d just get to Parkhurst in time. Options ran through her mind. Victoria could help her sort out who had delivered the message. She could certainly find someone to ride with her or shadow her to the meeting. But what if it was Frank? What was she thinking? Her husband was dead, his body buried in Seattle. She thought suddenly about the closed casket. What if…? No. Her husband had been an incredible man and she’d loved him from that first moment through all the ups and downs of marriage and career to the farewell she hadn’t known would be their last. She’d stood by him against the treason charges despite her doubts. She glanced at the note, heard his voice whispering “dolcezza” at her ear when she read it again. Absolutely not. Remarkable he might’ve been, but not even Frank could come back from the dead. Shoving the second note into her purse with the first, she dragged herself from the floor and went to the bathroom to freshen up. When she came out, the notes taunted her. Her maternal instinct kicked into high gear. While she might ignore a veiled threat against herself, she couldn’t leave Frankie’s safety to chance. Her daughter had worked tirelessly to triumph over a devastating physical injury and subsequent emotional turmoil. She wouldn’t let any vicious stunt ruin things now. Determination beating urgently in her veins, Sophia packed her overnight bag. She considered changing clothes, but only switched from her heels to her flats. Her lightweight black sweater and slacks were easy to move in and the closest things to camouflage in her wardrobe. Whoever was waiting for her at Parkhurst, she had to go. Nothing and no one would prevent her from keeping Frankie safe and her future secure.